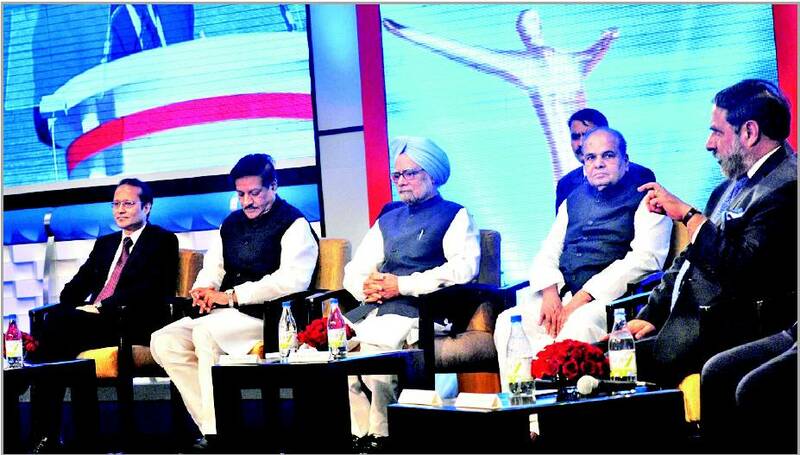 India's Prime Minister kept 2-minutes silence before delivering his speech at prestigious Economic Times (ET) Awards. While the reason was unknown to everybody, industry circle said it may be out of habit or somebody must have died just before him presenting his speech. 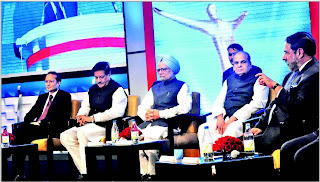 "I would like to keep 2 minutes of silence at this one of the most prestigious event of Indian business," said Manmohan Singh when speaker invited him to dias to say something. After Manmohan Singh's urge to keep silence for 2 minutes, every industrialist present over there kept quite without knowing the exact reason. "I think it may be that we are at some special event and he was first time getting some award so may be that is why he as," said L&T's Chairman A.M. Naik. Birla Group's Kumar Mangalam Birla said "I am not sure why he asked us to keep silent. He may be giving condolence to all the soldiers who had given their lives on the battle ground." Industry sources said that most of the industrialists surprisingly looked at each other while they were silent for 2 minutes, trying to understand how it was possible to attain such a level of homogeny in any action. "We are united that is what Mr. Singh wanted to convey us," said Mukesh Ambani "However, I felt that Anil was not quite. He was talking with himself." "I don't believe anybody. If there is a silence then there must be a death. I am damn sure somebody must have died before Manmohan Singh came to the event and that is why he asked us to keep silent for 2 minutes," said Anil Agarwal of Sterlite Industries. Kotak Mahindra Bank's Uday Kotak said "I don't know why he kept quite but I believe, in 2 minutes there is thousands of crore rupees of turnover moves in the stock markets. I can't be silent everyday." Few sources inside the PM's house said "Generally, PM keeps silence for 2 minutes just to show commiseration to the death of aam aadmi (mango men) because of inflation, corruption, stupid government policies, idiot politicians, selfish industrialists and wicked state of India. ET Award was the best event where at least he inadvertently asked all the industrialists to keep silent just to condole India's common man." P.S. : According to sources, during the period of silence Union Cabinet Minister of Commerce and Industry and Textiles, Anand Sharma inadvertently said something for which he received a sharp and bitter stare from Dr. Manmohan Singh.